Fully revised for its third edition, the Oxford Handbook of Ophthalmology is a concise, systematic guide to all aspects of diagnosis, assessment, and ongoing management of ophthalmic diseases and conditions. 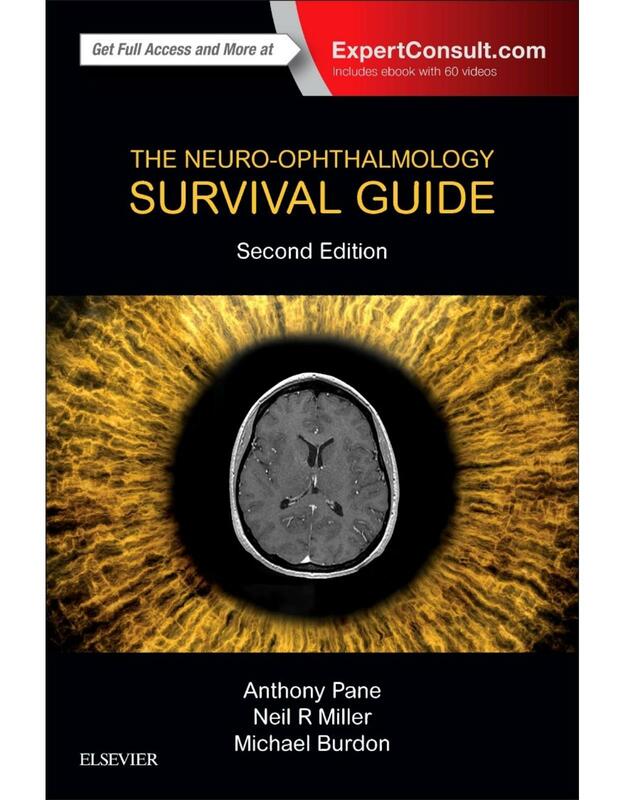 Closely aligned with the curriculum for the ophthalmic postgraduate exams, and containing the most up-to-date clinical guidance, and practical advice, this is the essential resource for all those caring for ophthalmic patients. Covering the key information for both trainees and specialists; from clinical methods and the use of ophthalmic instruments, to basic perioperative care and advanced life support protocols. It includes new chapters covering laser procedures and theatre notes, as well as new sections on emerging technologies such as adaptive optics and gene therapy for retinal diseases. With expert advice, the latest clinical guidance, and its easy-reference format, this unique resource provides immediate access to the information you need, when you need it. 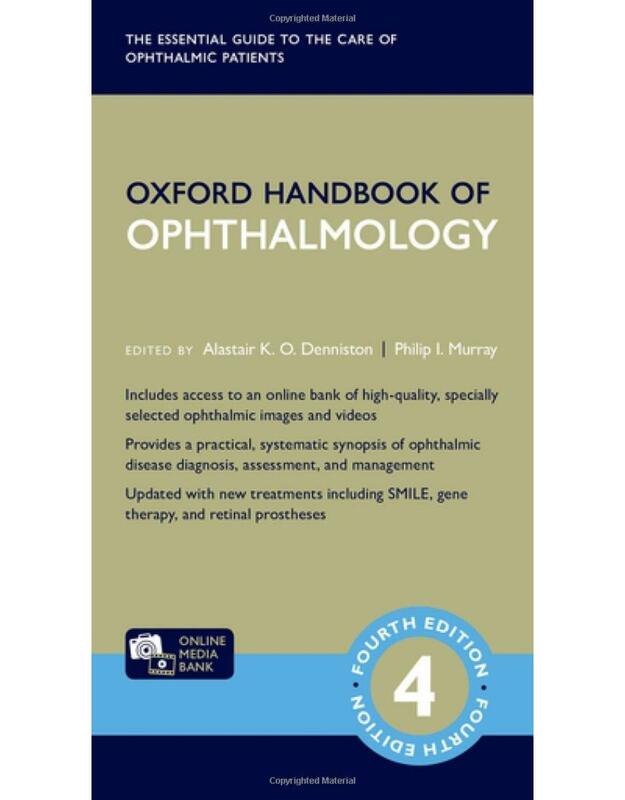 Fully revised and updated throughout, the fourth edition of the Oxford Handbook of Ophthalmology now includes free access to the ophthalmic online media bank, a selection of high-quality clinical images and videos for a wide breadth of key ophthalmic diseases. Clear, concise, and practical, this handbook provides immediate access to the detailed clinical information you need, in casualty, clinic, theatre, and on the wards. 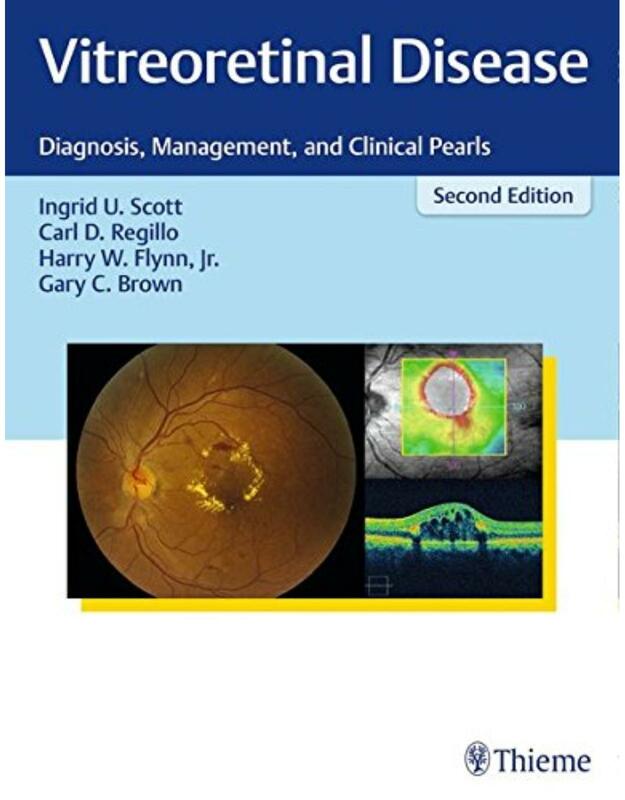 The core of the book comprises a systematic synopsis of ophthalmic disease directed towards diagnosis, interim assessment, and ongoing management. Assessment boxes for common clinical conditions and algorithms for important clinical presentations illustrate this practical approach. The information is easily accessible, presented in a clear format with areas of importance highlighted. Key sections for the trainee include: Clinical Skills, Aids to Diagnosis, Investigations and their Interpretation, Perioperative Care, Theatre Notes and Therapeutics. The wider practise of eye-care is supported by expanded chapters on Refractive Ophthalmology, Vision in Context, Evidence Based Ophthalmology and Resources for Ophthalmologists. Now including newer treatments across a range of specialities such as SMILE, gene-therapy and retinal prostheses, as well as greater emphasis on the evidence underlying current clinical practice and guidelines, this handbook has never been more essential for all those working in eye-care. Whether you want to learn about patient-reported outcomes, identify a surgical instrument, interpret a statistical test, or diagnose and treat ophthalmic emergencies, you will find it here. Whatever your role in caring for patients with eye disease: ophthalmologist, optometrist, orthoptist, ophthalmic nurse, or other health profession - discover for yourself why this handbook has become the 'go-to' resource for tens of thousands of eye-care professionals around the world. This book is a practical, symptom-based, 'how-to' guide to neuro-ophthalmology and acquired strabismus for all trainee and practising ophthalmologists and optometrists. Each chapter focusses on a specific clinical symptom and includes an introduction to the clinical assessment of a symptom; an examination checklist; a management flowchart to be followed; clinical diagnostic criteria checklists; and further information on the diseases that can cause the symptom with a brief discussion of appropriate management. A practical and accessible handbook for the ophthalmologist or optometrist without a specialist interest in neuro-ophthalmology and acquired strabismus. The text simplifies a subject which is often a cause of litigation against practising ophthalmologists and exam failure for trainees and residents. The book aids diagnosis in a field in which mistakes may lead to medico-legal problems, e.g. brain tumours presenting with blurred or double vision. The book leads the reader from the symptom, through a series of simple but safe flowcharts and check-lists, to the diagnosis or the tests which need to be ordered. The first chapter presents 20 'golden rules' to keep you and your patients out of trouble. A revised text with some new illustrations brings this highly-praised book up to date. New online videos demonstrate abnormal eye movements, eyelid problems and pupil abnormalities. This book explains technical issues, digital imaging, and offers collective experiences of practitioners in different parts of the world practicing a wide range of teleophthalmology applications. It is the first book in ophthalmology covering this hot topic. The book encompasses access to specialist eye care for remote patients. It also covers ophthalmic disease screening, monitoring, diagnosing and management, and sharing of medical resources. The book is highly structured and concise. Ophthalmologists, optometrists, nurses, and primary care providers will find valuable and up-to-date information on how to successfully establish programs in this field. Orbital Imaging, by Dr. F. Allan Midyett and Dr. Suresh K. Mukherji, covers the majority of orbital pathologic entities you're likely to encounter in daily practice or during board examination. Radiologists and ophthalmologists alike will benefit from the concise focus on pertinent imaging modalities emphasizing CT and MR of the globe and orbit, presented with bulleted lists and fast facts for quick clinical correlation. This unique, compact reference is the one you'll consistently reach for, whether you're learning orbital imaging for the first time, in need of a quick review, studying for exams, or looking up cases in the reading room. Easy to digest format promotes quick navigation to zero in on what is important: - Key Chapter Points give a "bird's eye view" of a particular pathologic process - Classic Clues sum up pathologic processes and indicate when you can expect to see those findings - Content snapshots get to the point, including fast facts, epidemiology and pathology, data overviews on treatment and prognosis, and quick tips on the most frequently seen CT and MRI features. Differential Diagnosis sections tell you exactly which features to critically compare, that at first glance may look identical. Superb illustrations depict important and fascinating diagnostic dilemmas. Don't take chances with your exam prep! Trust Review of Ophthalmology to help you study all the current information you need to know to ace your exams! Efficiently review a wide spectrum of topics with an organization by common ophthalmologic subspecialties. Maximize retention with a popular outline approach that distills key information on each topic alongside sample review questions. Review the findings of many important clinical studies with which you are expected to be familiar. Test your understanding of essential information with questions at the end of each chapter and answers at the end of the book. Study on the go, search the complete text online, and download images at www.expertconsult.com. Be fully prepared for current exam topics with information on the latest techniques in corneal surgery, macular degeneration treatment and trials, and expanded treatment options for many sections. View anatomic details, common ophthalmic test findings, and examples of classic histopathology specimens through brand-new illustrations and photographs. Ace your exams with Trattler, Friedman and Kaiser's Review of Ophthalmology! Developed at Philadelphia?s world-renowned Wills Eye Hospital, the Color Atlas and Synopsis of Clinical Ophthalmology series covers the most clinically relevant aspects of ophthalmology in a highly visual, easy-to-use format. Vibrant, full-color photos and a consistent outline structure present a succinct, high-yield approach to the seven topics covered by this popular series: Cornea, Retina, Glaucoma, Oculoplastics, Neuro-Ophthalmology, Pediatrics, and Uveitis. This in-depth, focused approach makes each volume an excellent companion to the larger Wills Eye Manual as well as a practical stand-alone reference for students, residents, and practitioners in every area of ophthalmology. 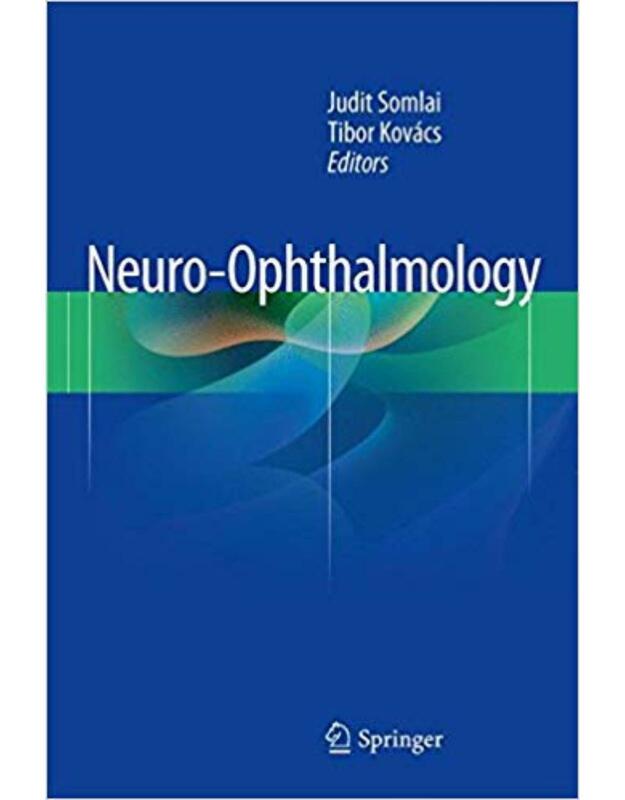 The updated Neuro-Ophthalmology volume includes: Authoritative information on the most commonly encountered neuro-ophthalmologic problems, ideal for practicing ophthalmologists, neuro-ophthalmologists, and residents. Focus on recent treatment advances helps ensure that patients receive the widest range of therapeutic options. More than 200 new and updated high-quality illustrations aid in visual diagnosis and treatment planning. An easy-to-use format that covers Epidemiology and Etiology, History, Physical Examination, Differential Diagnosis, Laboratory and Special Examinations, Diagnosis, Prognosis, and Management. For over 35 years, Kline's Neuro-Ophthalmology Review Manual has presented a unique and user-friendly approach to address clinical neuro-ophthalmology principles used in everyday practice. This Eighth Edition continues that tradition, providing a timely update, while also maintaining the same user-friendly and concise format. 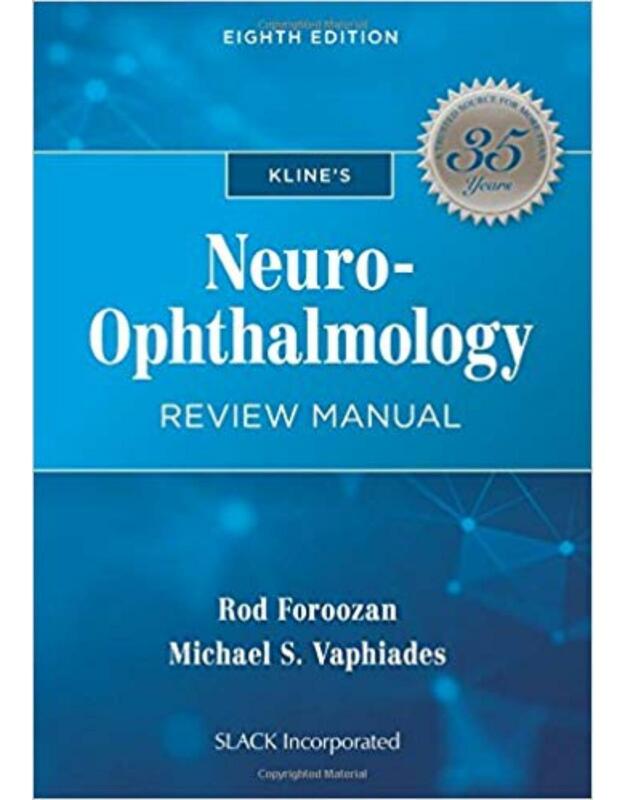 Dr. Rod Foroozan and Dr. Michael Vaphiades have taken the mantle of updating this respected manual from Dr. Lanning Kline and continue his tradition of a simple summary of the most important clinical aspects of neuro-ophthalmology with schematic illustrations and material relevant to everyday practice. They are joined by their contributing authors, all seasoned neuro-ophthalmologists, and have organized the book to provide the essential key information on neuro-ophthalmic disorders. The Eighth Edition provides a comprehensive update to the latest information, adds many new effective exercises for case study, and is a complete update on neuro-ophthalmic conditions, including results of recent clinical trials and emerging literature. Also new is the inclusion of a table of neuro-ophthalmic emergencies which serves as a quick guide so that these potentially life-threatening and blinding conditions can be accessed easily. Chapters include: Nystagmus and Related Ocular Oscillations Myasthenia and Ocular Myopathies Nonorganic Visual Disorders Disorders of Higher Visual Function Neuroimaging Kline's Neuro-Ophthalmology Review Manual, Eighth Edition has all the fundamentals presented logically for all practitioners and residents in ophthalmology, neurology, and neurosurgery. 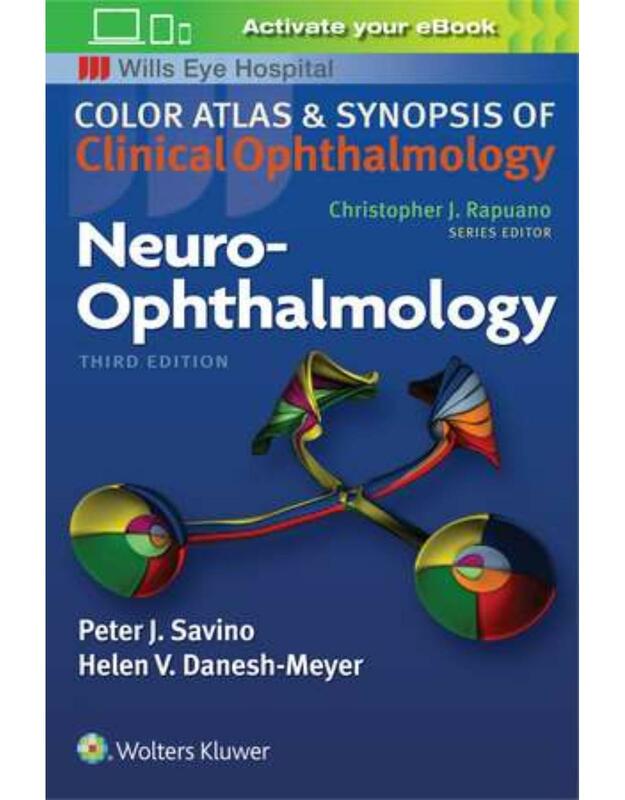 A popular choice among colleagues for more than 35 years, this a must-have resource in neuro-ophthalmology. 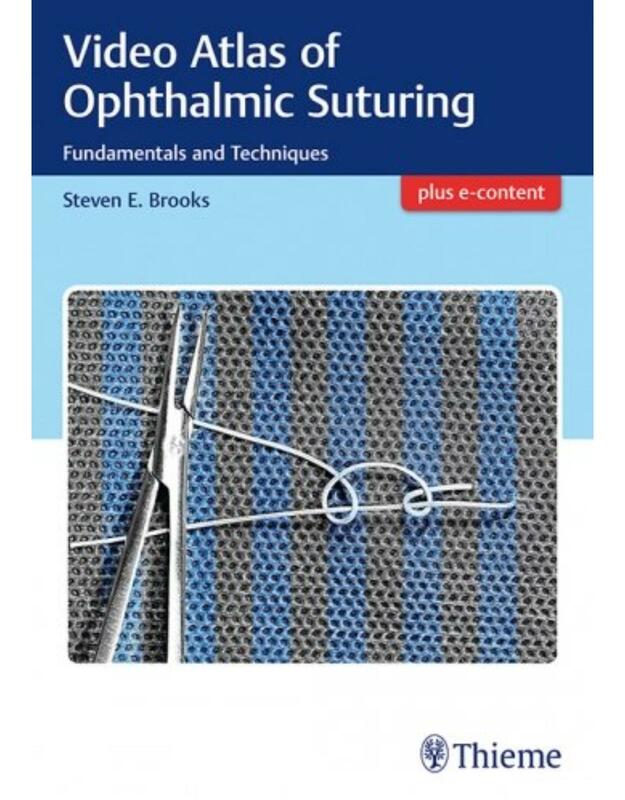 Video Atlas of Ophthalmic Suturing: Fundamentals and Techniques by Steven Brooks, MD, is the first multimedia atlas dedicated to effective suturing and knot tying skills in ophthalmic surgery. The text and videos not only cover essential suturing techniques, but merge these concepts with critical principles of wound healing, tissue biomechanics, ergonomics, and the physical properties of common ophthalmic sutures and surgical needles. This atlas fills a significant knowledge gap in educational ophthalmic surgery literature, and greatly enhances the fundamental knowledge and skills provided in ophthalmic surgical training programs. The reader is guided step by step starting with history, safety, basic principles, and the role of the suture in wound healing. Subsequent chapters cover all aspects of sutures - from design and proper selection of tools to basic skills and advanced techniques. The instructional videos, accompanying text, and high-quality illustrations provide the resources necessary to develop muscle memory, tactile experience, and conceptual understanding required for eventual mastery. The easy-to-follow didactics enable practicing and replicating various skills in a training lab environment. Unique in the field, this outstanding reference provides the beginning ophthalmic surgeon practical knowledge of anatomy, pathophysiology, wound healing, biomechanics, and hands-on suturing techniques. Teaching ophthalmologists will discover robust material from which to design didactic and wet lab resident courses. This book is an informative and comprehensive guide to the essential techniques currently employed in corneal surgery. It focuses in particular on two principal areas: the treatment of corneal disorders by means of different forms of corneal transplantation and the use of the Excimer laser to treat refractive disorders. In order to facilitate learning and later deployment of the techniques a multimedia approach is used. Surgical steps are described clearly within the book and can then be observed in detail on the accompanying high-quality DVD. A further feature is the inclusion of a chapter devoted to wet lab training, which presents practical preparatory exercises. This book will be of special value as a handy reference for ophthalmologists who are just embarking upon their surgical training. However, it will also be informative for trained eye surgeons, who will be able to compare their own practice with the presented procedures and to assimilate the latest techniques. Inflammatory and infectious diseases in the eye often present very challenging diagnostic dilemmas and are difficult to manage. Despite advances in anti-inflammatory and immunomodulatory therapy, permanent structural changes can occur in the eye because of intraocular inflammation or infection. These are best managed with surgery. Modern treatment of these inflammations and infections involves novel drug therapy and retina-vitreous surgical procedures. This is the first book to review the recent surgical protocols used in the management of intraocular inflammation and infection, and covers indications, pre-procedure therapy, surgical procedure, and complications. 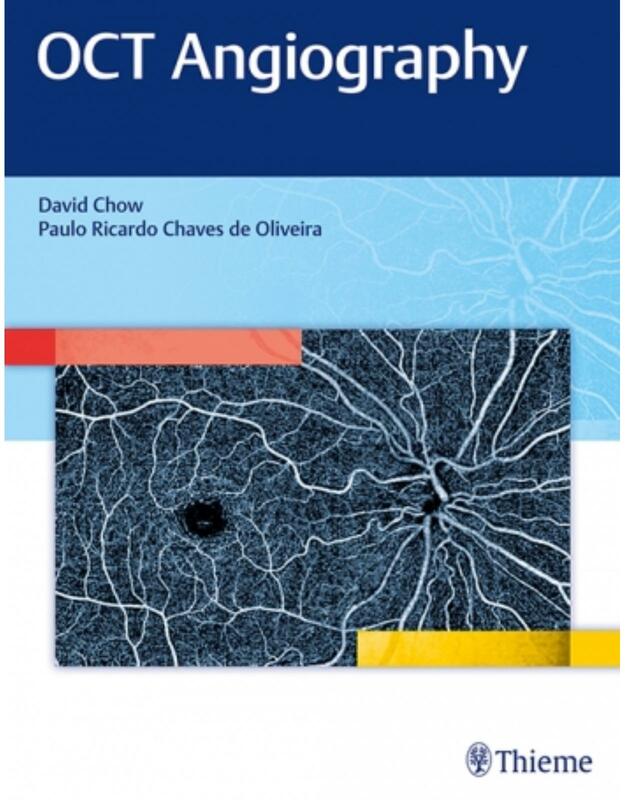 OCT Angiography by David R. Chow and a cadre of renowned authors is an authoritative, richly illustrated guide on a groundbreaking new ophthalmic imaging technique. Optical coherence tomography angiography is revolutionizing ophthalmologic diagnosis and management of retinal disease. The technology is transforming the ocular disease diagnostic paradigm - from the retina to the choroid - enabling precision-tailored patient management. Noninvasive and more sophisticated than fluorescein angiography, OCTA obviates the need for dye and yields an unprecedented level of detail. The layered visualization of the retina and choroid vasculature delivers greater understanding of retinal disease. From sight-robbing eye diseases affecting millions such as age-related macular degeneration, diabetic retinopathy, and glaucoma - to rare conditions like adult-onset vitelliform macular dystrophy, readers will glean insights on the capabilities of this remarkable innovation. This exceptional resource is a must-have for every ophthalmology resident and practitioner. The comprehensive text coupled with high quality illustrations will enable ophthalmologists to leverage the full potential of this technique in daily practice. 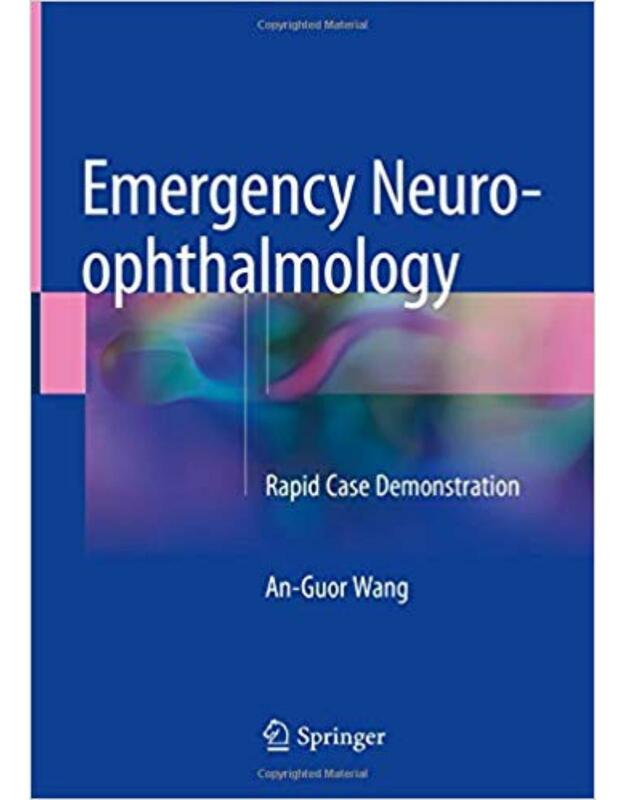 This book presents 57 typical cases of neuro-ophthalmic diseases in the emergency room, which represent notoriously complex and difficult challenges for junior doctors. The physical manifestations of these neurologic disorders include visual loss, transient blurring, diplopia, headache, pupillary abnormality, and even cognition problems. Each case provides a wealth of information, including the case report, comments, diagnosis, management, prognosis and concise notes, as well as photographs and other images. As a case-based clinical reference work on neuro-ophthalmic diseases, the book offers readers essential, concretely applicable information and guidance. Presenting cases collected by experts in the field, this book includes high quality clinical photographs and images that bring each case to life, alongside diagnostic process and management decisions, with clear diagrams and tables to summarize key points. Adequate blood supply to the eye is an important prerequisite for normal visual function. Over the past 40 years our knowledge of ocular blood flow regulation has improved significantly. 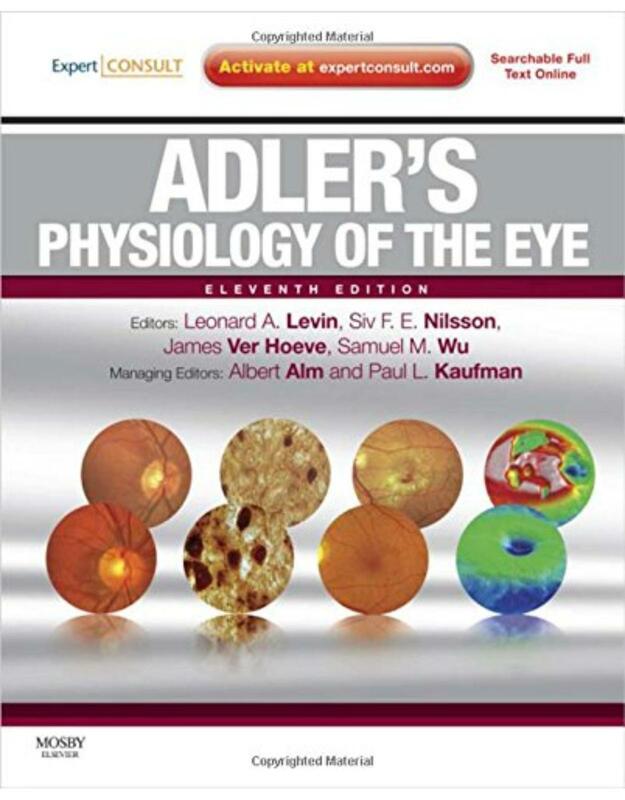 This reader-friendly textbook provides a comprehensive overview of the current knowledge of ocular blood flow. Lavishly illustrated, it evaluates the wide array of methods that have been used to measure ocular blood flow. Furthermore, it not only offers the reader an evidence-based summary of the physiological and pharmacological properties of ocular blood flow regulation, but also demonstrates the ocular blood flow abnormalities in different vascular diseases. This book will enhance the understanding of all who are interested in learning more about ocular blood flow in health and disease. Glaucoma affects millions of people worldwide and is the second leading cause of blindness. Major advances in innovative surgical techniques, collectively termed minimally invasive glaucoma surgery (MIGS), have revolutionized the field. These groundbreaking ophthalmic surgery approaches are effective, are not bleb-dependent, and they result in fewer complications. Authored by a Who's Who of prominent experts in the MIGS movement, this book represents the most comprehensive book written to date on the subject. Leading glaucoma surgeons offer unique perspectives and experience gleaned from developing and mastering these state-of-the-art techniques. The first four sections discuss fundamental concepts of eye anatomy and structure, outflow implications, and aqueous production. The remaining sections cover the latest cutting-edge procedures elucidated through text descriptions and case studies, with the final two chapters offering insights into how to best incorporate MIGS into your practice and possibilities for combining MIGS procedures to expand the treatment algorithm for patients with more moderate to advanced disease. Meticulous, step-by-step drawings, photos, and surgical videos further delineate advanced MIGS techniques. This remarkable resource will enable ophthalmologists to incorporate cutting-edge MIGS into practice. It is a must have for any clinician who endeavors to advance the treatment of glaucoma. 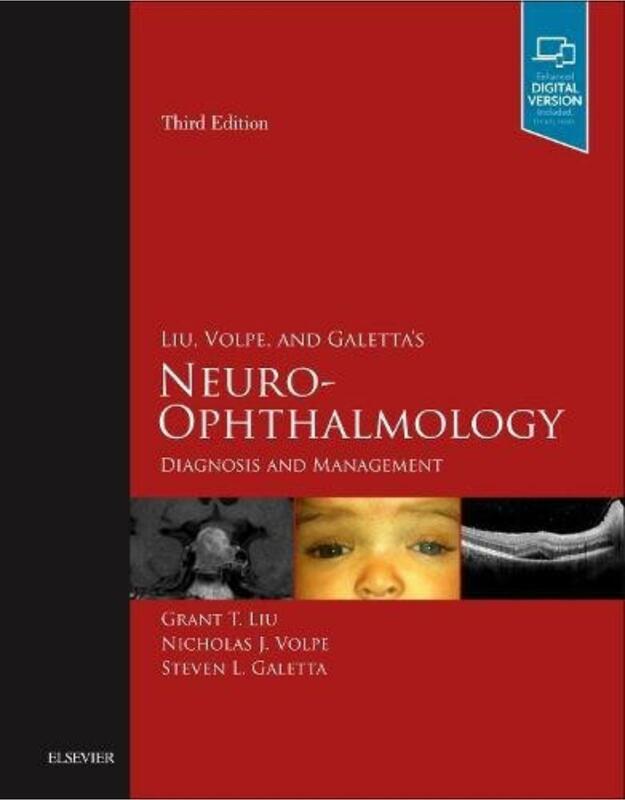 Liu, Volpe, and Galetta�s Neuro-Ophthalmology: Diagnosis and Management, 3rd Edition remains unique in its complete, authoritative coverage of the diagnosis and treatment of neurological disorders affecting the eye. Bridging the gap between a handbook and an encyclopedic resource, it distills a vast amount of information into a single, concise, superbly illustrated volume. User-friendly and thoroughly up to date, this highly renowned reference is a one-stop resource for current information in this growing area. Features: � Combines over 1,000 illustrations and cross references with tables, outlines, and flow-diagrams to provide you with everything you need to understand the underlying presentation, pathophysiology, neuroimaging, and diagnostic studies in neuro-ophthalmology, along with the ideal diagnostic, treatment, and ongoing management tools for all neuro-ophthalmic conditions. � Covers the neurological examination and the bedside neuro-ophthalmic evaluation of comatose patients that demonstrates how the examination can be used to confirm a diagnosis arrived at from the patient history. � Includes the expertise and knowledge of a small, hand-picked contributor team that ensure the latest advances are incorporated into each chapter. This practical guide provides an algorithm for diagnosis and treatment, from `having some problem with vision', via diagnosis of cause and background, to treatment and eventually to rehabilitation. Following on from introductory sections devoted to the role of neuro-ophthalmology, recent developments in the field, and an overview of neuro-ophthalmological examinations, there are sections devoted to the different parts of the visual system, and finally a section on rehabilitation. Neuro-ophthalmology is aimed at ophthalmologists, neurologists, neurosurgeons, traumatologists, neuroradiologists, experts in cardiology and stroke, and trainees in these areas. It will also be of interest to neuro-rehabilitation specialists, neuropsychologists, and those working in typhlopedagogy and health informatics. While there are books that review lacrimal surgery as a portion of oculoplastic practice, The Lacrimal System: Diagnosis, Management & Surgery, Second Edition, addresses the range of lacrimal disorders in one concise, practical volume. Building off of the success of the first edition, this text includes significantly updated information, as well as new chapters that are complete with high quality color images and illustrations. Lacrimal surgeries are among the most commonly performed ones in oculopastic surgery. The procedures range from unblocking tear ducts in small children with congenital dysmorphology, to correcting dry eye through surgery. As with many of these procedures, the disorders sound minor but the patients lives are seriously affected. By broadening the scope of the subject, the editors of The Lacrimal System, Second Edition meet the needs of oculoplastic surgeons, ophthalmologists, residents and fellows who are learning these special procedures. Lacrimal disorders are one of the very common conditions encountered not only by the oculoplastic surgeons but also by the general ophthalmologists in their daily practice. Written by global experts in the field of dacyrology, this book is a comprehensive, updated practical guide on evaluation and management of patients with lacrimal diseases. This up-to-date reference work covers all aspects of the field including the basic anatomy and underlying pathology, evaluation of a patient, and all surgical procedures currently used in managing various disorders in an organized fashion. Surgical modalities including the endoscopic approaches are thoroughly and succinctly reviewed with ample illustrations for better understanding. Since familiarity with a surgical technique is incomplete without the knowledge of risk factors and red flags, an emphasis on dealing with surgical complications and failure has received priority in this treatise. Controversial topics and treatment dilemmas have been discussed in detail with the objective of reviewing the present consensus among the experts. Written by the leading authorities in the field, Essentials of OCT in Ocular Disease is a core clinical reference on this important new technology used to examine the structure of the eye. It provides residents and practicing ophthalmologists with essential information on how to use OCT in various clinical scenarios and guidance on patient management. Chapters include coverage of recent innovative diagnostic applications as well as OCT-guided surgical procedures, including IOL position, DMEK, PDEK, GLUED IOL, and subtenon injection. 	Online access to videos demonstrating OCT-guided surgical procedures This book is an indispensable clinical guide for residents and fellows in ophthalmology as well as an excellent desk reference for practicing ophthalmologists -- it will be a treasured and clinically useful volume in their medical libraries throughout their careers. Textbook of Laser Refractive Cataract Surgery is a comprehensive reference for the general ophthalmologist and cataract surgeon regarding the explosive new technology in femtosecond laser cataract surgery. Femtosecond laser allows extreme precision in surgery, and is used in refractive surgery and for cuts in the cornea, leading to a more uniform treatment for the patient. Textbook of Laser Refractive Cataract Surgery is for cataract surgeons and all eye care providers managing or diagnosing cataracts who wish to be informed about this technology and its applications. The management of major vitreoretinal diseases has changed dramatically since publication of the first edition in 1999. The field continues to evolve rapidly and is becoming an increasingly complex, multifaceted practice of medicine and surgery. As such, retinal specialists are faced with increasingly sophisticated diagnostic and therapeutic modalities to learn and master. Contributors to this completely updated reference are renowned experts in retinal disease and vitreous disorders. Divided into four essential sections, the book starts with a basic overview of posterior segment anatomy and physiology. The second section reviews the spectrum of diagnostic tools used in the field from relatively low technology such as the indirect ophthalmoscope to the latest, state-of-the-art optical coherence tomography test. The third and most comprehensive section covers disease states, subdivided into eight categories: retinovascular conditions, macular diseases, inherited vitreoretinal conditions, inflammatory conditions, intraocular tumors, vitreous and retinal detachments, trauma and toxicity, and fundus conditions. The text concludes with specific vitreoretinal procedures. • Clinical pearls, controversies, and special considerations highlighted in color boxes in every chapter. This up-to-date, clinically-oriented resource will greatly benefit ophthalmology residents and ophthalmologists with comprehensive practices. Ophthalmologic surgery has seen ever-evolving advancements in treatment methodologies. An expanding choice of intraocular lenses and implantation approaches has contributed to improved quality of life in people with vision impairments. Although cataract surgery has a very high success rate, unexpected complications can occur. Being prepared for challenges is integral to achieving positive outcomes. Throughout three major sections and 28 chapters, top experts share many years of combined wisdom, firsthand tips, and extensive skills acquired from utilizing and refining IOL techniques. The comprehensive, richly illustrated text and accompanying surgical videos provide invaluable training on how to handle even the most complex cases, including strategies for overcoming obstacles such as compromised capsular support. 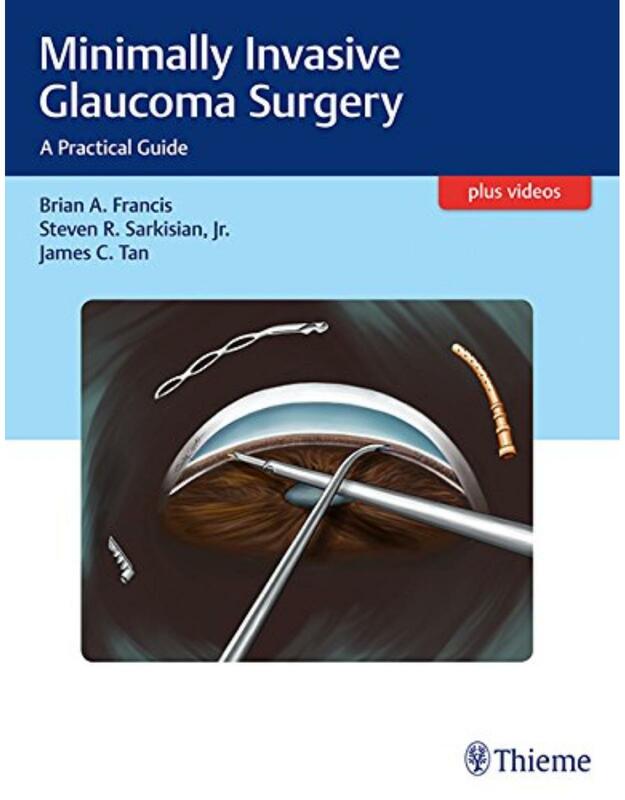 This book is a remarkable hands-on learning tool for anterior segment, cornea, refractive surgery, and glaucoma training and a must-have resource for every ophthalmologic resident, fellow, and practicing clinician. Arranged by ocular anatomy and subspecialty, with a detailed index permitting the reader to locate a discussion involving a specific type of ocular injury, this text covers ocular trauma in the pediatric and adult patient with medical and surgical treatment options, as well as potential complications. 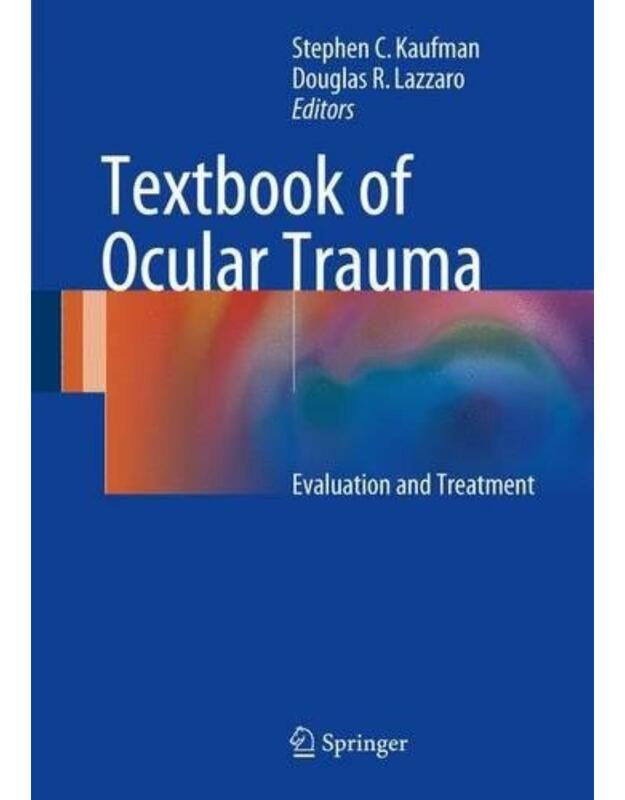 The Textbook of Ocular Trauma: Evaluation and Treatment provides a practical reference and educational resource for ophthalmologists, ophthalmology residents, emergency room physicians and residents, and pediatric physicians and residents, with basic and advanced instruction in the evaluation and management of eye and surrounding tissue trauma. This text includes multiple case reports with high quality color photographs after each section, as well as detailed medical illustrations of trauma cases and their treatment. Case studies include both common and unusual types of ocular and surrounding tissue trauma, which provide practical guidance in the evaluation and treatment of eye injuries. This book provides a collection of optical coherence tomographic (OCT) images of various diseases of posterior and anterior segments. It covers the details and issues of diagnostic tests based on OCT findings which are crucial for ophthalmologists to understand in their clinical practice. Throughout the chapters all aspects of this non-invasive, popular imaging technique, known for ingenuity and accuracy, is clearly illustrated. 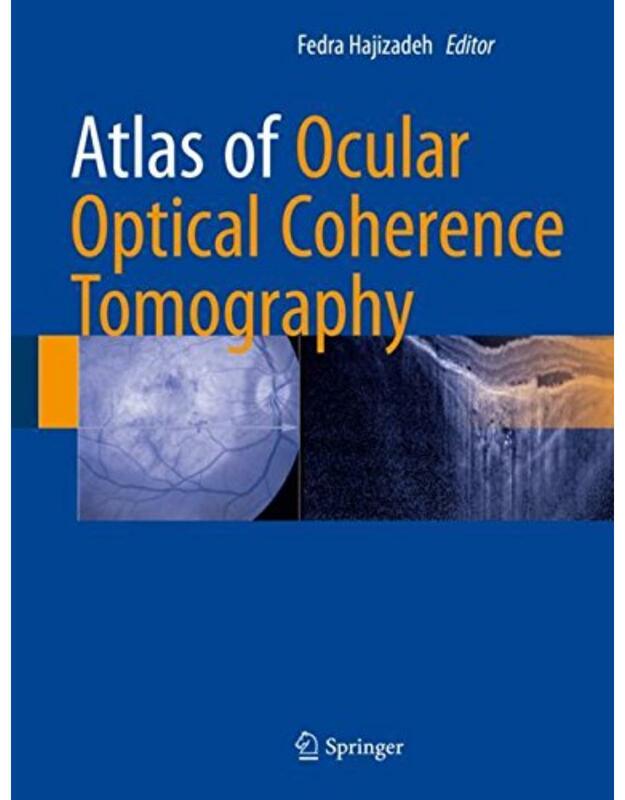 Atlas of Ocular Optical Coherence Tomography has been categorized into eleven sections, discussing and illustrating distinct OCT features, as well as showing other image modalities such as fluorescein angiography, fundus autofluorescence, perimetry and laboratory examination. This book also covers choroidal pathologies and vitreous abnormalities. The last section has been allocated to anterior segment disease, including cornea, angle, iris and conjunctival abnormalities. Above all, the numerous images, and detailed descriptions of diseases, make this book an essential guide for general ophthalmologists and ophthalmology residences. -Diabetic retinopathy and retinal vascular diseases. -Epiretinal membrane, macular hole and vitreomacular traction (VMT) syndrome. The Sclera is the definitive text on the diagnosis and treatment of scleral diseases, with in-depth chapters on non-infectious scleritis, infectious sclertitis, non-inflammatory diseases of the sclera, and systemic implications of scleral disease. Basic physiology, anatomy, and biochemistry are addressed as well. Written for the ophthalmologist, the revised and updated new edition of The Sclera contains the most current information available on newer characterizations of the composition of the sclera, immune derangements of it, and success in medical and surgical treatment of the inflammatory diseases of the sclera. After diabetic retinopathy, the varieties of retinal vein occlusion constitute the most prevalent category of retinal vascular disease. For macular edema associated with central retinal vein occlusion (CRVO), no effective therapy existed until 2009, despite decades of research and failed pilot therapies. This comprehensive, illustrated text integrates recent advances in treatments with the parallel progress in understanding of disease mechanisms. Complete with case studies, this text is perfect for retina specialists, ophthalmologists, optometrists, and residents and fellows in these fields. Kanskis Clinical Ophthalmology: A Systematic Approach is the classic specialty text providing the perfect ophthalmology foundation for trainees through to experienced practitioners. The famous visually dynamic and succinct format enables easy comprehension and focused guidance in the diagnosis and management of ophthalmic disorders. Build the ultimate foundation in ophthalmology with this market-leading resource. Benefit from guidance on examination, imaging, and the recognition of systemic conditions associated with ocular disease. Completely revised by experienced ophthalmic educator Brad Bowling, the eighth edition reflects the latest advances, making this an indispensable resource to enhance learning, aid exam preparation and guide clinical practice. Designed for rapid reference and efficient recall, the concise but comprehensive chapters use crisp targeted text, bulleted lists, tables, and above all a range of visual aids to hone in on salient points across all ophthalmology subspecialties. Features detailed updates on key evolving topics such as the spectrum of macular disease, with many new disorders added to this edition across a range of subspecialties. Increased emphasis on practical investigation and management. Includes 2,600 illustrations, images and artworks, with over 900 brand new for this edition, including ultra wide-field imaging, fundus autofluorescence, and high-resolution OCT. Expert Consult eBook version included with purchase. This enhanced eBook experience allows you to search all of the text, figures, and tables from the book on a variety of devices. Kanski & Bowling deliver everything you need to know about ophthalmology today in a multimedia format that ensures efficient, effective recall. 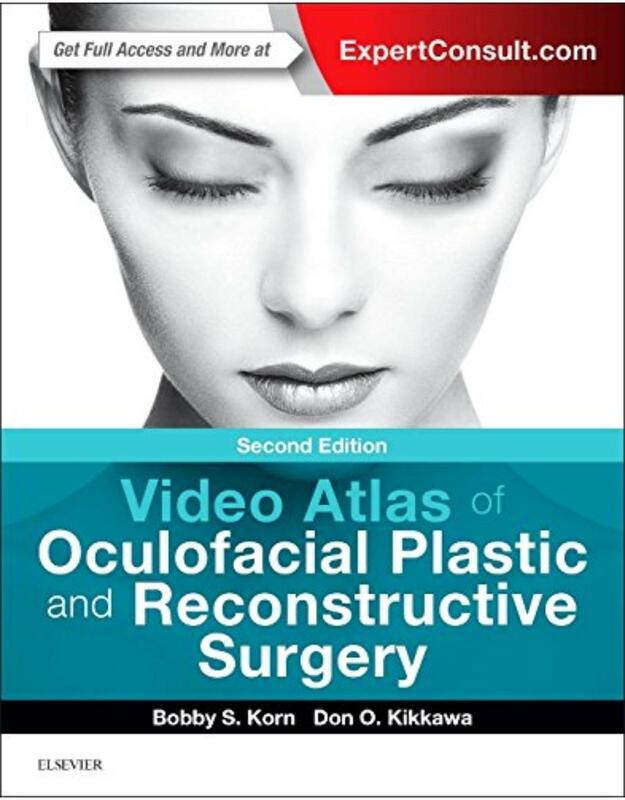 Ideal for oculofacial, facial/cosmetic plastic, and dermatologic surgeons, the updated Video Atlas of Oculofacial Plastic and Reconstructive Surgery brings together high-definition quality video and accompanying color atlas to help you master the latest reconstructive and cosmetic surgical procedures of the eyelid, lacrimal system, orbit, and face. Superb illustrations combined with expanded coverage of over 70 techniques deliver a complete multimedia resource to help perfect your surgical skills. This Second Edition features all video online with a 590 page print atlas. 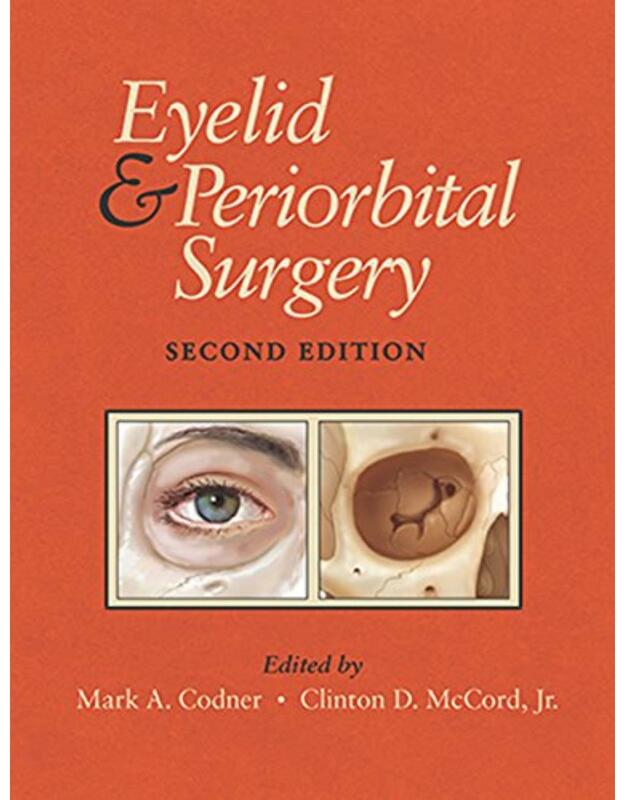 Includes 40 new and revised chapters covering the hottest procedures: aesthetic and revisional eyelid surgery; complex periocular reconstructions; Asian eyelid surgery; periocular fat transfer; and minimally invasive brow- and face-lift surgery. Features over 70 professionally captured, high-definition surgical online videos with 5 hours running time. Expertly edited footage with narration provides the nuances and pearls of every technique, and unique freeze frames with digital overlays enhance specific areas of interest. Comprehensively covers the essential procedures in the field, such as upper and lower blepharoplasty, ptosis repair, endoscopic brow lifting, botulinum toxin, oculofacial reconstruction, eyelid malposition repairs, endoscopic lacrimal surgery, and advanced orbital surgery techniques. Over 1,600 illustrations in the atlas include intra-operative photos taken directly from the high-definition video, as well as new "before and after" patient images. A consistent chapter format with indications, preoperative evaluations, surgical techniques, complications and consumables used during surgery allows you to grasp the key points of every procedure. Expert Consult eBook version included with purchase. This enhanced eBook experience allows you to search all of the videos, text, figures, and images from the book on a variety of devices. This handbook is designed to serve as a compact, up-to-date, and easy-to-use reference on the clinical features and pathology of ocular tumors. It comprises approximately 75 entries that cover the full spectrum of clinically encountered ocular tumors as well as tumor classification and other selected topics. Each entry addressing a given tumor or class of tumors is organized in a standard way, with information on synonyms, definition, etiology, clinical presentation, diagnosis, differential diagnosis, prophylaxis, therapy, prognosis, and epidemiology. Key references are also provided. The book has the advantage of having been written by members of an ocular oncology group from a leading cancer center, and will be of great practical value for ophthalmologists and ophthalmic pathologists. Comprehensive and clinically focused, Refractive Surgery, 3rd Edition, brings you the knowledge and expertise of leading ophthalmology experts and refractive surgeons from around the world. Together they provide practical coverage of the latest advances in this fast-changing field, including improved optics and biomechanics, improved diagnostics, new surgical techniques, and more. Hundreds of high-quality photographs guide you from patient selection to mastery of surgical techniques. Offers step-by-step guidance on a wide range of common refractive procedures. Covers new topics such as management of LASIK complications; SMILE and management of SMILE complications; collagen cross-linking, including instrumentation and applications in keratoconus and ectasia; intracorneal lenses; and multifocal and accommodating IOLs. Contains a new chapter on Preoperative Evaluation of Keratoconus and Ectasia. Uses high-quality surgical video clips to demonstrate a variety of surgical techniques. Addresses initial as well as ongoing management of patients. Includes tables of indications, preferences, hot tips, and management of complications throughout, making guidance quick and easy to access. 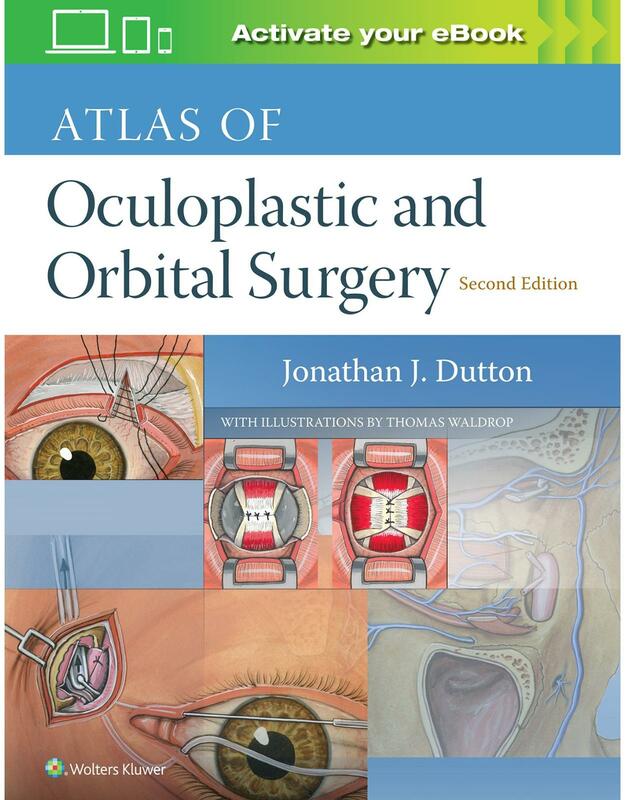 Now with more than 1,100 detailed and accurate medical illustrations, this second edition of Atlas of Oculoplastic and Orbital Surgery offers detailed step-by-step instructions for 100 of the most common proceduresincluding 12 new onesperformed by eyelid, lacrimal, and orbital surgeons. In addition to technical steps, the book offers background material on pre-op prep and basic anatomy. Youll also find critical tips to help you prepare effectively for all your operations and to minimize post-operative complications. o Each surgical step is matched side-by-side with an accurate and detailed illustration that depicts a surgeons actual position during the surgery. o Now with 12 new, highly-illustrated procedures to keep up with the types of injuries and disorders surgeons are encountering in patients. o Updated with modifications and improvements to various procedures that have streamlined surgical techniques or otherwise improved patient outcomes. o All illustrations have been designed by a medical illustrator with over 30 years of experience in the field. o Read directly on your preferred device(s), such as computer, tablet, or smartphone. o Easily convert to audiobook, powering your content with natural language text-to-speech. The field of periorbital surgery has expanded exponentially in recent decades. With its rise in popularity, however, comes a rise in complications. 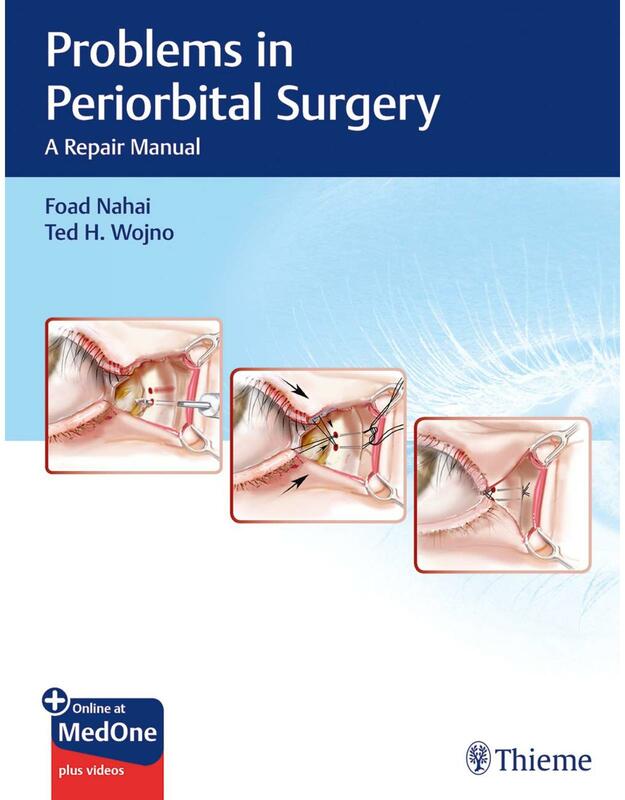 Finally there is a comprehensive guide to repairing the problems encountered in periorbital surgery, compiled by masters in the art of periorbital surgery! This unique resource for plastic, facial plastic, and oculoplastic surgeons offers several key features: * A thorough discussion on the history and examination for the evaluation of the eyelid Stepwise guidance for correcting a range of complications in periorbital surgery, including infection and bleeding, blindness and motility disorders, specific upper and lower eyelid problems including lid retraction, chemosis, and adverse results from fillers and resurfacing. * Several chapters, presenting different approaches, devoted to the challenging problem of lid retraction and its multifactorial etiology. * A case-report format that provides detailed discussions of all possible complications. * Expert techniques from renowned surgeons providing multiple perspectives on the same problems. * More than 300 colour photographs and beautifully detailed surgical illustrations. * Multiple video clips showing details of eyelid evaluation and corrective techniques. * Both print and electronic formats for easy access everywhere. * To meet the ever-increasing patient demand for these youth-restoring procedures, all surgeons undertaking eyelid surgery and committed to prevent and treat complications of periorbital surgery should have this resource in their collection! New chapters, new editors and contributors, and an upgraded video collection make Taylor and Hoyt's Pediatric Ophthalmology and Strabismus, 5th Edition, the most current and complete reference available in this evolving field. 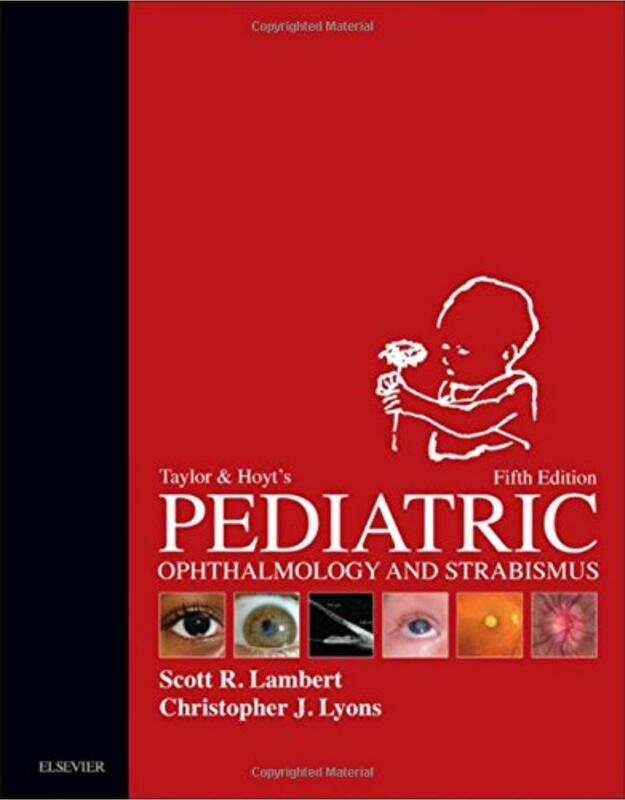 Editors Scott R. Lambert and Christopher J. Lyons, both globally recognized leaders, provide authoritative coverage of all the pediatric ophthalmic conditions you’re likely to encounter in practice, including the latest clinical advances in etiology, diagnosis, and medical and surgical management. Expert guidance on the complete spectrum of childhood eye disorders and strabismus, including a unique "practical problems" section designed to help you handle difficult patient situations. More than 1,800 high-quality images and artworks provide visual guidance in diagnosis and management. A practical "how to" perform strabismus surgery chapter with extensive step-by-step artworks for complete visual guidance. Comprehensive updates of all topics, with nine brand-new chapters covering significant advances in the management of refractive errors in children; binocular vision; conjunctival tumors; optimal approaches to patient-family communication, and a unique chapter on the impact of mobile apps for the pediatric ophthalmologist. State-of-the-art coverage of key areas such as OCT and all of the newest imaging techniques for the eye, orbit and visual pathways; anti-VEGF treatment for retinopathy of prematurity; and minimally invasive strabismus surgery. An expanded video collection with more than 60 narrated instructional clips depicting multiple diagnostic and surgical techniques. Long considered one of ophthalmology's premier texts, this award-winning title by Drs. Myron Yanoff and Jay S. Duker remains your go-to reference for virtually any topic in this fast-changing field. In a single, convenient volume, it offers detailed, superbly illustrated guidance on nearly every ophthalmic condition and procedure you may encounter, making it a must-have resource no matter what your level of experience. Extensive updates throughout keep you current with all that's new in every subspecialty area of the field. Offers truly comprehensive coverage, including basic foundations through diagnosis and treatment advances across all subspecialties: genetics, optics, refractive surgery, lens and cataract, cornea, retina, uveitis, tumors, glaucoma, neuro-ophthalmology, pediatric and adult strabismus, and oculoplastics. Features streamlined, templated chapters, a user-friendly visual layout, and key features boxes for quick access to clinically relevant information and rapid understanding of any topic. Contains nine brand-new chapters covering OCT angiography and optical coherence tomography, small incision lenticule extraction (SMILE), corneal imaging, electrophysiology in neuro-ophthalmology, glaucoma drainage implants, thyroid eye disease, orbital infections, and aesthetic fillers and botulinum toxin for wrinkle reduction. Covers new imaging techniques including wide-field imaging, anterior segment OCT (AS-OCT), and high definition OCT, as well as two completely reorganized sections on optics and refraction and intraocular tumors that provide a more logical and user-friendly approach for enhanced understanding. Includes more than 2,000 high-quality illustrations (most in full color) and an expanded video library with 50 clips of diagnostic and surgical techniques. New videos cover refractive surgery advances, phakic intraocular lenses, combined cataract procedures, nystagmus, eye movement examinations, and more. 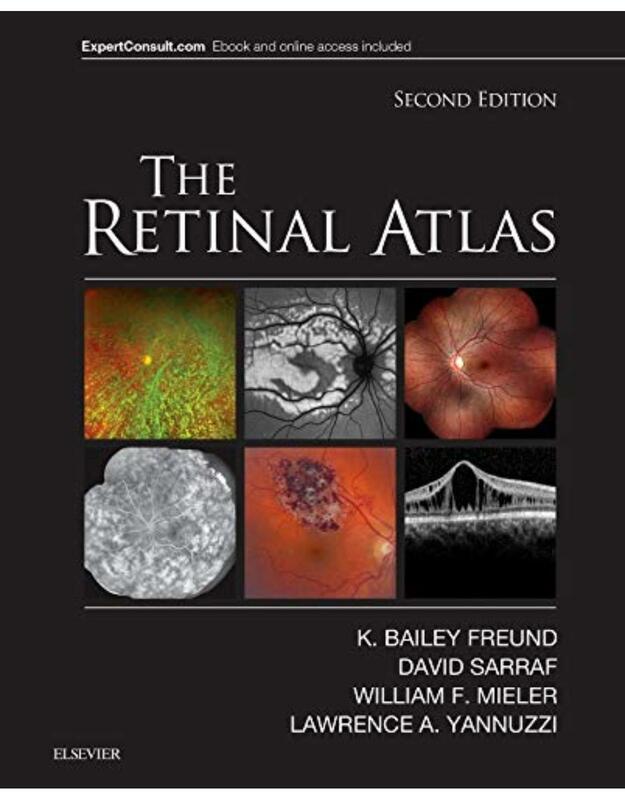 With more than 5,000 images, a unique page layout, and comprehensive illustrations of the entire spectrum of vitreous, retina, and macula disorders, The Retinal Atlas, 2nd Edition, is an indispensable reference for retina specialists and comprehensive ophthalmologists as well as residents and fellows in training. For this edition, an expanded author team made up of Drs. K. Bailey Freund, David Sarraf, William F. Mieler, and Lawrence A. Yannuzzi, each an expert in retinal research and imaging, provide definitive up-to-date perspectives in this rapidly advancing field. This award-winning title has been thoroughly updated with new images with multimodal illustrations, new coverage and insight into key topics, and new disorders and classifications, while retaining the innovative page layout that has made it the most useful and most complete atlas of its kind. Provides a complete visual guide to advanced retinal imaging and diagnosis of the full spectrum of retinal diseases, including early and later stages of disease. Enhances understanding by presenting comparison imaging modalities, composite layouts, high-power views, panoramic disease visuals, and selected magnified areas to hone in on key findings and disease patterns. Features color coding for different imaging techniques, as well as user-friendly arrows, labels, and magnified images that point to key lesions and intricacies. Covers all current retinal imaging methods including: optical coherence tomography (OCT), indocyanine green angiography, fluorescein angiography, and fundus autofluorescence. Depicts and explains expanding OCT uses, including spectral domain and en face OCT, and evolving retinal imaging modalities such as ultra-wide-field fundus photography, angiography and autofluorescence. Presents a select team of experts, all of whom are true international leaders in retinal imaging, and have assisted in contributing to the diverse library of common and rare case illustrations. For outstanding visual clarity in ocular diagnosis … nothing else comes close. In this updated and revised third edition, world-renowned authorities at the Wills Eye Hospital provide outstanding guidance on recognition, evaluation, and treatment of ocular tumors, highlighted by more than 2,500 stunning photographs and surgical drawings. This unsurpassed ocular oncology resource is a comprehensive guide to the clinical features, diagnosis, management, and pathology of intraocular tumors and pseudotumors, depicting clinical variations, treatment, and histopathologic characteristics of the many varied benign and malignant lesions that affect the uveal tract, retina, and other intraocular structures. Now brought thoroughly up to date with recent clinical and scientific innovations, this unique volume has been greatly expanded with over 25% new material, and offers more high-quality images than any other text/atlas in the field. •	Presents each entity in an easy-to-follow format: a concise description with references on the left-hand page and six illustrations on the right-hand page. •	Depicts in precise photographic detail the gross and microscopic features that distinguish each condition, while professional drawings and intraoperative photographs demonstrate key surgical principles and procedures. •	Features numerous new references regarding diagnosis and treatment, as well as new scientific tables containing key information for your clinical practice. •	Features 25% new images, including panoramic images, surgical images, diagnostic testing images from multiple modalities, and updated OCT images with numerous enhanced depth imaging OCT (EDI-OCT). 2014 BMA Medical Book Awards Highly Commended in Surgical specialties category! Get the quick answers you need on every aspect of clinical ophthalmology and apply them in your day-to-day practice. The latest edition of Ophthalmology by Drs. Yanoff and Duker presents practical, expert, concise guidance on nearly every ophthalmic condition and procedure, equipping you to efficiently overcome whatever clinical challenges you may face. 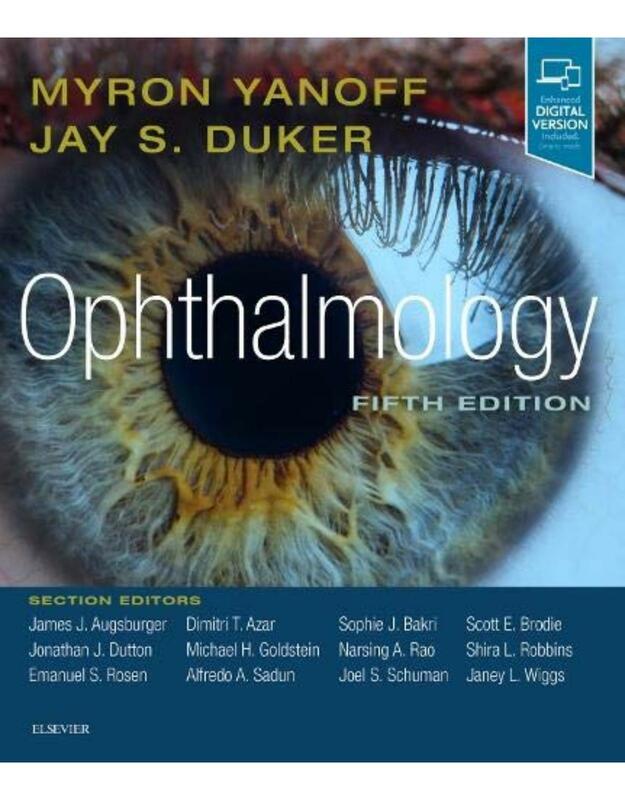 "In summary, the role of clinical electrophysiology of vision in clinical practice is better documented in Yanoff and Duker's Ophthalmology, 4th Edition than in the introductory textbooks of earlier generations". Reviewed by: Department of Ophthalmology, Icahn School of Medicine Date: July 2014 Focus on the clinically actionable information you need thanks to a more streamlined format. Make optimal use of the newest drug therapies, including Anti-VEGF treatment for wet ARMD and bevacizumab treatment for complications of diabetes. Get authoritative guidance on the newest treatment options for cornea disorders, including evolving ocular surface reconstruction techniques and new cornea procedures such as DSEK. Take it with you anywhere. Access the full text, video clips, and more online at Expert Consult. Apply the latest advances in the diagnosis and treatment of ocular disease, including new drug therapies for retinal disorders; today's expanded uses of optical coherence tomography (OCT) and high-resolution imaging modalities; new corneal, cataract and refractive surgical approaches; and new developments in molecular biology and genetics, ocular surface disease, glaucoma testing, neuro-ophthalmology, uveitis, ocular tumors, and much more. Visualize how to proceed by viewing more than 2200 illustrations (1,900 in full color) depicting the complete range of clinical disorders, imaging methods, and surgical techniques. Hone and expand your surgical skills by watching 40 brand-new videos demonstrating key techniques in cornea, cataract, refractive, retina and glaucoma surgery. Spend less time searching thanks to a user-friendly visual format designed for quick, "easy-in easy-out" reference and an instant understanding on any topic. Eyelid & Periorbital Surgery offers expansive coverage of aesthetic and reconstructive procedures in oculoplastic surgery. Oculoplastic and plastic surgeons combine their talents in this unique two-volume clinical resource that features comprehensive guidance for solving both common and rare eyelid and periorbital problems. With more than 2,900 photos and color illustrations, this edition has 26 rewritten first edition chapters and expands on an additional 13 new chapters, including topics ranging from nonsurgical periorbital rejuvenation to male blepharoplasty. Best of all, there are more than 30 new surgical videos demonstrating the latest surgical techniques. Also included is a complimentary eBook. Divided into 5 sections, the book begins by covering the fundamentals including periorbital and eyelid anatomy, eyelid function, innervation, biomechanics, and tissue grafts. The following section discusses aesthetic surgery including procedures such as brow lift, upper and lower blepharoplasty, midface lift, treatment of malar bags and festoons, lateral canthal dysfunction, and management of chemosis. A new section has been added on aesthetic nonsurgical state-of-the-art periorbital treatments with an update on injectable fillers, botulinum toxin injections, and fat grafting. The reconstructive surgery section covers ptosis surgery, upper and lower eyelid reconstruction, entropion and ectropion reconstruction, surgery for facial paralysis, malignant eyelid tumors, Graves disease, and the treatment of pediatric patients. The new final section covers orbital and lacrimal surgery including blowout fracture of the orbital floor, neuroophthalmologic injuries, evisceration and enucleation, late repair of orbital fractures, and management of the lacrimal system. Step-by-step descriptions and detailed videos provide a wide variety of tips, clinical pearls, and personal insights from the authors making this an invaluable resource for surgeons interested in the topic. 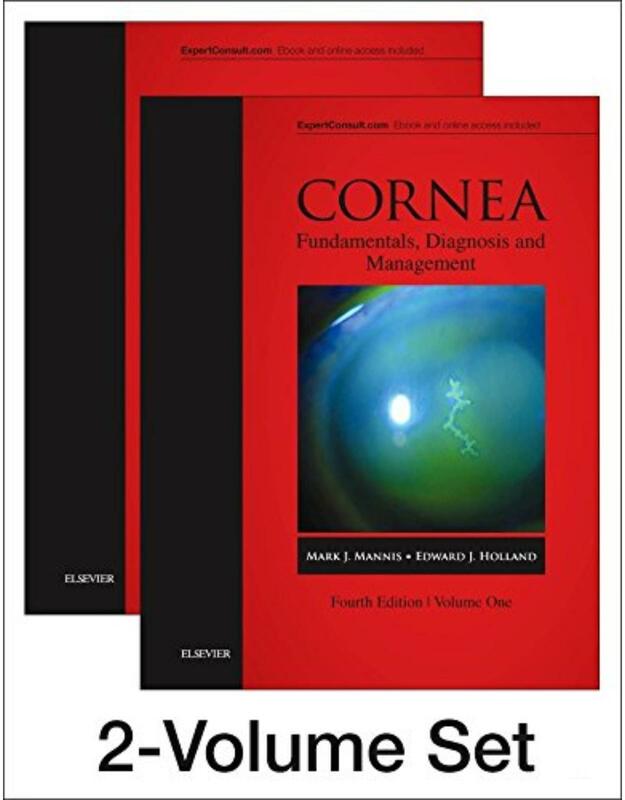 Highly praised in its first three editions, Cornea has become a market-leading cornerstone text and the immediate go-to resource for anyone working in this hugely popular and evolving sub-specialty. 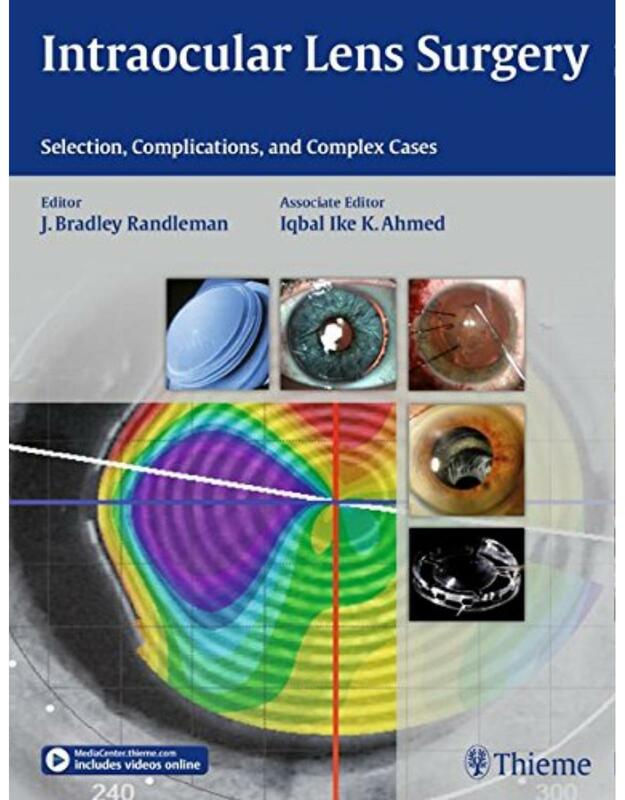 Offered over two volumes and featuring the knowledge of over 200 experts worldwide, it presents state-of-the-art coverage of the expanding range of contemporary corneal surgery, new diagnostic technology, and medical management of corneal and external disease as well as ocular surface disease. This updated edition includes 20 brand-new chapters and 60 video clips, while an enhanced focus on images provides key visual guidance in this challenging field. 20 brand-new chapters cover the latest advances in the field, such as DMEK, Ultra-Thin DSEK and DSAEK techniques; endothelial cell transplantation; keratoplasty and prosthokeratoplasty techniques; collagen cross-linking; and new refractive surgical techniques (presbyopic implants and SMILE surgery). 60 video clips on Expert Consult show new footage of the latest corneal surgery techniques, including Boston Keratoprosthesis, corneal inlay surgery, and lenticule extraction. Boasts over 170 chapters with unique, cutting-edge content, as well as 2,300 clear illustrations – 670 of which are new to this edition. Presents a detailed exposition of the growing number of techniques for lamellar keratoplasty, including outcomes. Includes new sections on the latest developments in the management of ocular surface disease. Key point overviews in each chapter offer easier access to crucial information. A new section has been added on aesthetic nonsurgical state-of-the-art periorbital treatments with an update on injectable fillers, botulinum toxin injections, and fat grafting. The reconstructive surgery section covers ptosis surgery, upper and lower eyelid reconstruction, entropion and ectropion reconstruction, surgery for facial paralysis, malignant eyelid tumors, Graves' disease, and the treatment of pediatric patients. 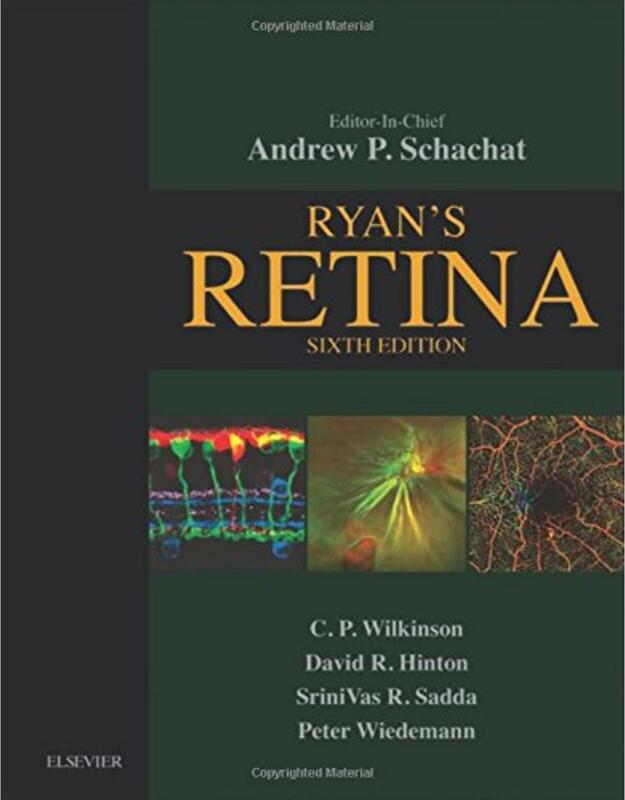 The undisputed gold standard text in the field, Ryan's Retina is your award-winning choice for the most current, authoritative information on new technologies, surgical approaches, scientific advances and diagnostic and therapeutic options for retinal diseases and disorders. Packed with timely updates throughout, new illustrations, and a dedicated team of editors who extend Dr. Ryan’s legacy in retina, this outstanding 6th Edition is a must-have reference for retinal specialists, ophthalmologists, and fellows in training. Offers the most comprehensive content available on retina, balancing the latest scientific research and clinical correlations, covering everything you need to know on retinal diagnosis, treatment, development, structure, function, and pathophysiology. Provides a truly global perspective from five highly esteemed section editors and more than 350 other world authorities from across Europe, Asia, Australasia, and the Americas. Bullets Includes new chapters on widefield imaging, intraoperative OCT imaging, medical management of diabetes mellitus and age-related macular degeneration, and senile retinoschisis. Includes more than 1,150 brand-new illustrations, scans, and photographs throughout. Covers the explosion of new imaging options across optical coherence tomography (OCT), fundus imaging, and autofluorescence imaging, including a greatly expanded OCT imaging chapter that features crucial information on OCT-Angiography (OCT-A). Presents new pharmacotherapy data and the latest approaches in anti-VEGF therapy for age-related macular degeneration, diabetic retinopathy, and venous occlusive disease. Features an expanded online video library highlighting the latest surgical techniques and new coverage of complications of vitreoretinal surgery. Contains thorough content updates in every area of retina, including advanced imaging technologies, gene therapy, inflammation and immune responses, white dot syndromes, epigenetic mechanisms, transplantation frontiers to improve retinal function, macular hole, myopic eye disease, ocular trauma, drug delivery to the posterior segment, advances in macular surgery, vitrectomy and complex retinal detachment, tumors, and retinal genetics and biology.